I am Chuck Garner and I teach mathematics at Rockdale Magnet School in Conyers, Georgia. This site is the portal to access classroom pages for the mathematics classes I teach, and much more. I grew up in Conyers and graduated from Heritage High School (1988). From Georgia State University I graduated with a Bachelor of Science degree (1994) and a Master of Science degree (2000), both in mathematics. I earned my Doctor of Philosophy in Mathematics degree from the University of Johannesburg in South Africa (2004) with a dissertation in the field of spectral graph theory. My dissertation was supervised by Dr. Elizabeth Jonck (University of Johannesburg), Dr. Gayla Sue Domke (Purdue University, formerly at Georgia State), and Dr. George Davis (Georgia State University, retired). Check out the Mathematics Geneology Project to view my mathematical ancestors. I have taught at Rockdale Magnet School since August 2001. Before that I was a middle school math teacher for seven years, five of those at Conyers Middle School in Conyers, Georgia, and the first two at Robison Middle School in Las Vegas, Nevada. The 2018-2019 school year marks my twenty-fifth year teaching. I am fortunate and honored to be recognized for the work I put into my teaching through the years. I earned the Excellence in Teaching Mathematics Award for Georgia in 2003; I was the very first Teacher of the Year for Rockdale Magnet School (in 2007); I was one of three Finalists for the Presidential Award for Excellence in Mathematics Teaching in 2007 and one of five in 2014; I received GCTM’s Dwight Love Award in 2010 for “distinguished service to the field of mathematics education”; in 2016 I received the Georgia Association of AP Math Teacher’s John Neff Award for “outstanding service to the AP community and years of outstanding teaching in AP mathematics”; and in 2018 I received GCTM’s highest honor, the Gladys M. Thomason Award. But none of these compare to the honors bestowed upon me by my students: I was selected by the STAR student as the high school’s STAR Teacher 10 times (each year from 2003 to 2011 and again in 2013 and 2017) and selected by Honor Students as a Superintendent’s Honor Teacher for 19 consecutive years (1999 to 2017). Former STAR student Justin Easley nominated me for the MIT Inspirational Teacher Award, which I received in March 2011. Two students, Zach York and Aqib Momin, selected me for the Georgia Federal Credit Union/Star94 Teachers Make a Difference Award in 2013, and former student Matthew Le nominated me for the Yale Educator Award, which I received in September 2016. By clicking the links at the top of the page, you will find information about courses that I teach. I also teach classes on-line for the Art of Problem Solving. I have taught classes on number theory, counting & probability, geometry, precalculus, calculus, the AMC 10, the AMC 12, and the AIME. I am also actively involved in competitive mathematics. Not only do I sponsor both the Varsity and Junior Varsity divisions of the Rockdale Magnet Math Team, I am also one of six coaches for the state-wide Georgia ARML team. This team is comprised of the 45 best mathematics students in the state who then compete at the world-wide American Regions Mathematics League (ARML) tournament each June. 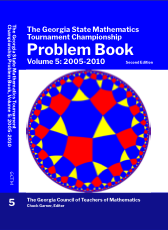 As of October 2009, I am also the Georgia Council of Teachers of Mathematics Vice-President for Competitions. 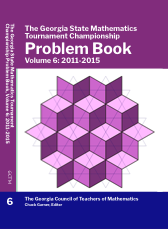 In this role, I oversee the GCTM middle school math tournament and the State Math Tournament. I also served, from February 2014 to January 2017, on the Board of Governors of the Mathematical Association of America as the Governor-at-Large for High School Teachers. As the High School Governor, I was also ex-officio member of the Council on Outreach Programs, the Committee for the American Mathematics Competition, and the Committee for the Edith May Sliffe Award. Now my work with the MAA involves chairing the Sliffe Award Committee, chairing the Teachers of Advanced High School Mathematics Special Interest Group, and being the MAA Representative on the national Mu Alpha Theta Governing Council. I have also written a few Mu-level tests for the National Mu Alpha Theta Convention from 2016-2019. If you have questions or comments, feel free to contact me by emailing cgarner (at) gctm (dot) org. 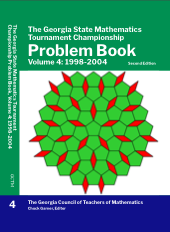 This site contains information for all of Dr. Garner’s mathematics classes, as well as his mathematics books, the Rockdale Magnet Math Team, and the Rockdale Math Competition. 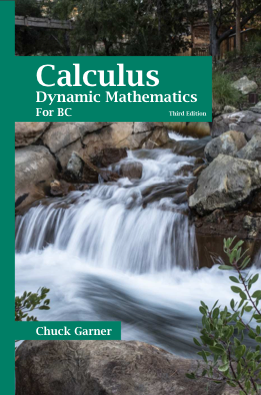 BELOW: My other calculus textbooks. 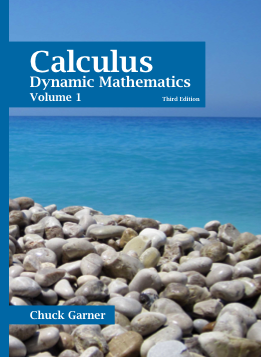 The NEW edition of Calculus: Dynamic Mathematics, Volume Two, in hardcover and pdf! A Teacher’s Guide and Solutions Manual is being prepared for this book, for release in Summer 2019. 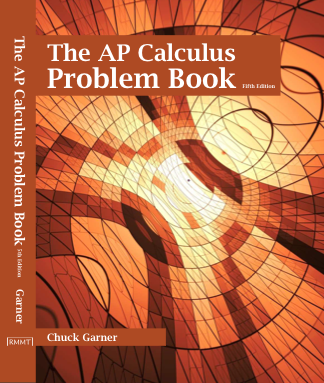 The brand new FIFTH EDITION of the book hated by calculus students everywhere: The AP Calculus Problem Book! 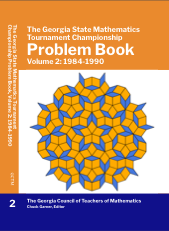 Now with over 3000 problems (yes, that’s three-thousand problems---50% more than the last edition! 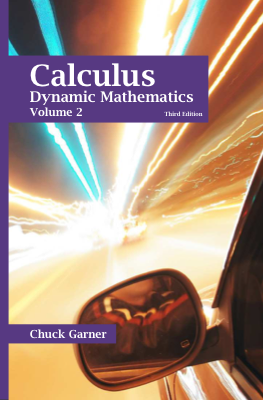 ), two practice end-of-chapter tests for each chapter, extra review problems, calculus labs, and answers to nearly all the problems. 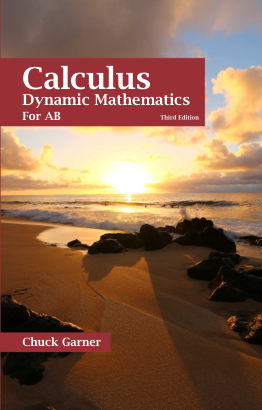 The NEW edition of Calculus: Dynamic Mathematics, For BC, in hardcover and pdf! This is the most useful book you ever own! It can be used to kill small insects! It can be used to prevent papers from blowing away in your windy office! It can be used to make others think you enjoy math! It can be used to balance uneven table legs! AND it has all you need to know about that jewel in the crown of human achievement -- CALCULUS! Why are you still waiting to make your safe and secure credit card purchase for this book over the always-on, never-off Internet? Aren’t versions for both AB and BC enough for you? What’s taking you so long to make your purchase? Why are you still reading this? What else do you want?? 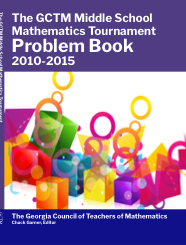 Are you interested in a Teacher’s Guide and Solutions Manual? You have to be a teacher or educator to get one! If you are, then send an email to cgarner at gctm dot org, with the subject “Teacher’s Guide”. The body of the email should include which Teacher’s Guide you want, your name, your school or other institution of learning, and the location (city, state) of your school or other institution of learning. Once your information is verified (that is, once I know you are a teacher and not a student trying to get your grubby little hands on the solutions to those tricky, tricky problems), then I will send you a link to purchase a print copy of the book. A pdf version is not, and never will be, available. Thanks! 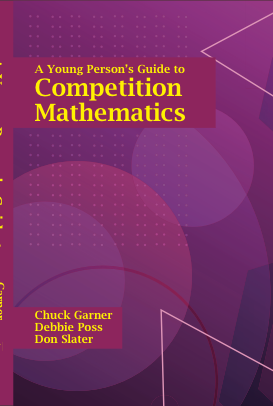 ANNOUNCING THE PUBLICATION OF A YOUNG PERSON’S GUIDE TO COMPETITIVE MATHEMATICS! 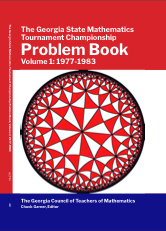 A joint effort between Debbie Poss, Don Slater, and myself, this book collects 10 year’s worth of wonderful problems from the annual Lassiter High School Math Tournament. 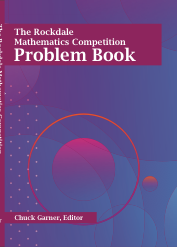 The problems are arranged by topic, so students can learn from the book as well as using it for practice problems. 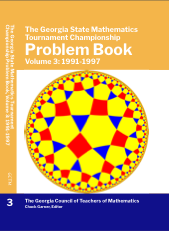 Included are example problems, practice problems, full solutions, and explanatory remarks for each chapter, presenting formulas, methods, techniques, and proofs. The book is 470 pages and is also available as a pdf here.